The act of singing has its physical aspect which means that we can never really sing without the essential organs that make singing possible. These organs are the lungs, larynx, chest, head cavities, skeletons, and the tongue. Singers, however, vary in their singing styles and voices. Some have vocal ranges of more than three octaves. Dimash, for example, an exceptional Kazakh singer, has a vocal range of 6 octaves. Some singers, however, have limited vocal ranges; but they can also sing well. They can sing softly, and they are also well-applauded by their audience. It doesn’t matter, therefore, whether your vocal range is wide. As long as you can sing softly, you will be very much appreciated by your audience. 6) Don't sing too Loud, But Instead, Use a Microphone! The quality of your voice, however, is substantially determined by how much you open your mouth. Many singers don’t realize this. Because they need to look good while singing, they usually tend to open less their mouth when they sing. In a way, this compromises the sound that they produce. Try the usual test on how to determine if you are opening your mouth correctly when you are singing. Take a video of yourself while you are singing. You can also sing while standing in front of a mirror. You will readily notice that your mouth isn’t moving much when you sing. So, try to open wide your mouth. Drop down your jaw when you sing. 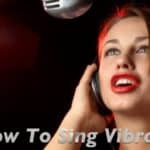 You will notice a significant improvement in your vocal tone and your vocal placement. Always practice singing with a more open mouth. Soon you will see enough improvement in your voice. Breathing is crucial to producing a soft voice. If you don’t have good breathing habit, you will end up unable to prolong your notes and losing breath while singing. But if you want to make your voice more listener’s friendly, you need to be aware of your breathing, and you need to control your breathing perfectly. Various breathing exercises could help you develop a stronger diaphragm and abdomen. Remember to do at least several minutes of breathing exercises daily. You should develop the habit of breathing from your diaphragm by exercising in front of a mirror. If your chest and shoulders rise, your breathing is too shallow. You should practice using your diaphragm by putting your hand on your abdomen. Then, try to push your hand using your abdomen as you breathe. Do this every day for a few minutes, and you will undoubtedly improve your breathing eventually. Enhancing your voice with a little vibrato can undoubtedly improve your voice and soften it. You can develop your vibrato by practicing in front of the mirror likewise. So, take your stance in front of a mirror. Then, press both your hands to your chest. Lift your chest high. Then begin to breathe in. Afterward, you exhale slowly without dropping your chest. With your chest lifted, sing a note and prolong it. Halfway along the note, you should press on your chest while keeping your jaw open. Relax your neck likewise as you sing. You will surely produce a good vibrato. As you practice this, you will notice that your voice will gain enough vibrato. You should not, however, overdo your vibrato because if you do, you may sound awkward along the way. The mind is full of programs. One mental program is quite obvious—the mind tends to get nervous whenever you are about to sing high notes. Now, if you can reverse or alter that program, you will surely not get nervous when you are about to sing high notes. So, the next time you are about to sing high notes, think of something that goes down. Think that you are simply transitioning from a higher place to a lower place. Think low therefore when you go on high notes. As your mind adapts to this new program, you will surely find it easy to reach high notes without a hitch. Good airflow and breathing are crucial to good singing. Many singers are often carried away by the excitement and fun of performing. More often, they forget to breathe properly. Hence, they sometimes quickly lose air. Thus, you should practice correct breathing. Make it a habit to exercise your breathing every day to ensure that when you are in an actual singing performance, you will not lose enough air. As a singer, I tend to sing sharply if I overextend my vocal cords and sing at the top of my lungs. I’ve noticed that this is not good. However, if I am using a microphone, I can easily modulate my voice without straining my vocal cords. Decreasing one’s volume allows me to relax my vocal cords and sing softly. Using the vowels properly through the song will helps your singing voice sound more smoothly and softly. And it will make your singing voice flow across words without any sense of breaks and forcefulness. However, the vowels and consonants must be applied hand in hand to bring out the softness parts of your voice more effectively. 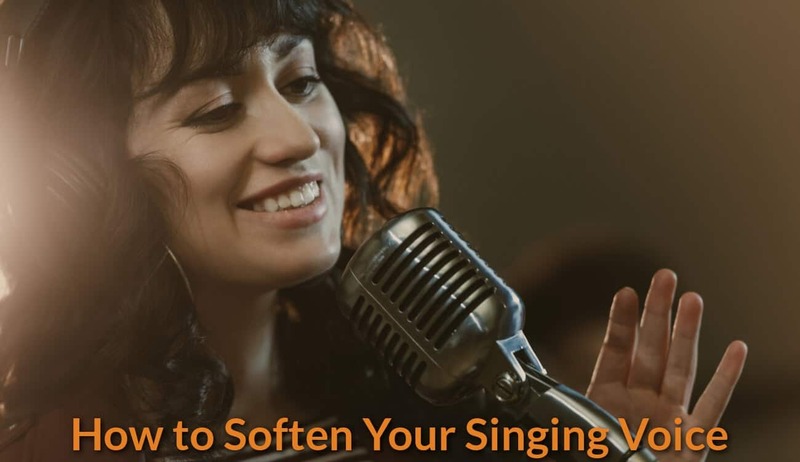 Aside from the first tips mentioned above for softening your voice, there are also other things that you can do to make your voice sound soft. Don't over-enhance your voice. Some songs are better sung with simplicity. Sometimes, the more you over-amplify your singing style, the more it becomes less soft to the ears. Thus, in many instances, it is better to let your natural voice come out untouched. Learn to transition from chest voice to head tone smoothly. You can do this by constant practice. The smoother the transition from one pitch to another, the softer your voice would be. Learn to put dynamics into your singing style. You can do this by learning how to adjust your vocal cords properly from one pitch to another. You should also learn to prolong the singing of some words, moving from loud to soft voice smoothly. 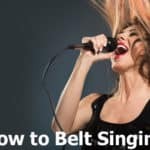 Sing more often on your most natural vocal range. This means that you should choose songs that are within your natural range. Your choice of songs will undoubtedly play well in enabling you to sing softly. Reduce singing into a level as if you are just speaking. If you can do this just like what Don Mclean or Karen Carpenter did before, you can surely make your voice sound softer. In your speaking voice, your larynx and vocal cords are in their most relaxed and balanced level. So, if you can make your singing voice to sound as if you are just speaking, your singing voice will surely become soft. There are also things that you should not do in order to make your voice sound soft. First, you should not overextend your vocal cords. This brings imbalance in the airflow and makes your vocal cords tense. You should not raise your larynx. This would prevent your natural tone from getting out of your mouth. You should not overly relax your vocal cords because you will lose more air if you do it.